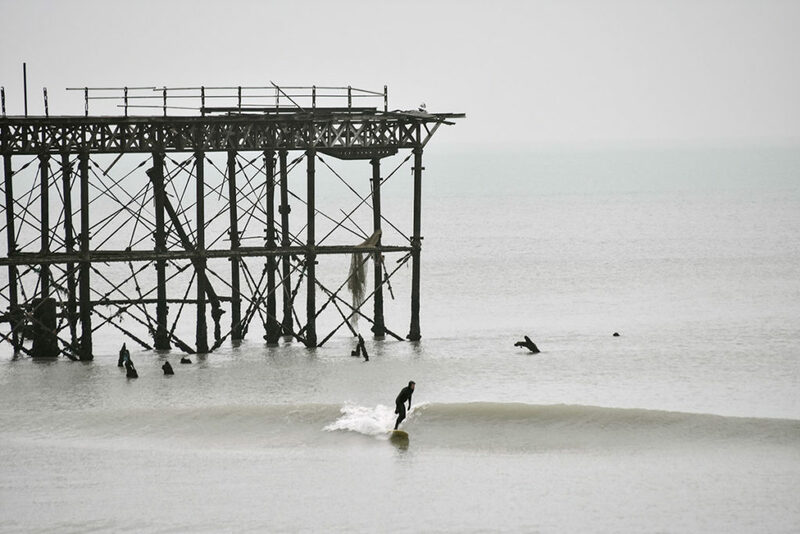 Home » Where Are The Nearest Surf Breaks To London? Where Are The Nearest Surf Breaks To London? For surfers living in London, getting to decent waves can be a real mission. Whether travelling by car or public transport, the obstacles are plentiful. For those bound for the South West there’s the choice between the perpetually congested M5 or tractor clogged A303 and if you’re planning on hoping over to Cymru for a bit of #vanlife, there’s a bloke asking you for £13.20 just to cross the bridge. Travelling by train is not really worth the hassle, as there’s every chance your path will be blocked by an officious official telling you there’s no room for your prized stick before you even get off the platform. Basically, for big smoke based wave riders unable to hop straight on a plane and bolt to more exotic climes, surfing can be a real ball ache. There are of course a plethora of rubbish quality breaks not all that far from London, including the likes of Brighton Pier, The Witterings and Joss Bay in Kent. Don’t be tempted to focus on these, you’ll end up whiling away your life checking Magicseaweed for that once a year chart, and then you’ll drop everything when you think you see it, only to end up surfing two foot windchop with five-hundred other over-frothers. However, if you look a little further a field and set your sights on something better, there are still options that don’t involve spending all day in the car. After just over two hours driving from London you will arrive in Dorset. Bournemouth Pier is the most obvious and consistent spot to make a beeline to, but the county offers many more waves for those prepared to hunt. They only rarely get really good, but there’s fun waves on offer a lot more often than you’d think. The coastline cops swell from SWerly storms and easterly wind swells and there are plenty of good set ups, both sandy and rock bottomed, to lap it all up. 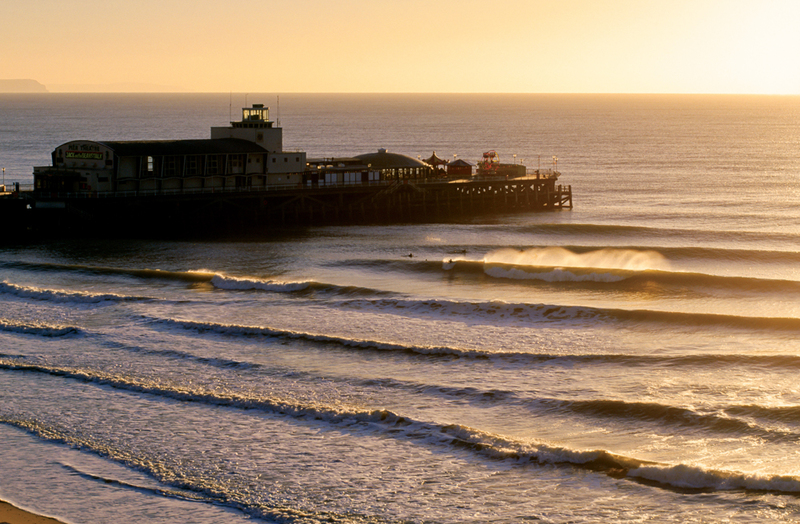 The piers at Bournemouth at Boscombe provide shelter from incessant westerly winds that usually accompany good ground swell, but there are a whole host of fun beach breaks along the coast for when the gales subside. The line-ups can get really really crowded, so learn the rules, and be respectful of the local boys. Three hours drive from central London and you’ll find yourself in Porthcawl, Wales. The town offers a variety of different waves, including three sandy bays and a sucky left hand reef called Coney Beach. The beaches are super consistent, but their proximity to several big cities means the line up is always crowded. Big swells rarely make it this far up the Bristol channel and breaking wave heights are further reduced by the estuaries shallow water and massive tidal range. If you fancy driving a little further up the coast, there are a rich variety of set ups on offer and the crowds thin out the further you go. 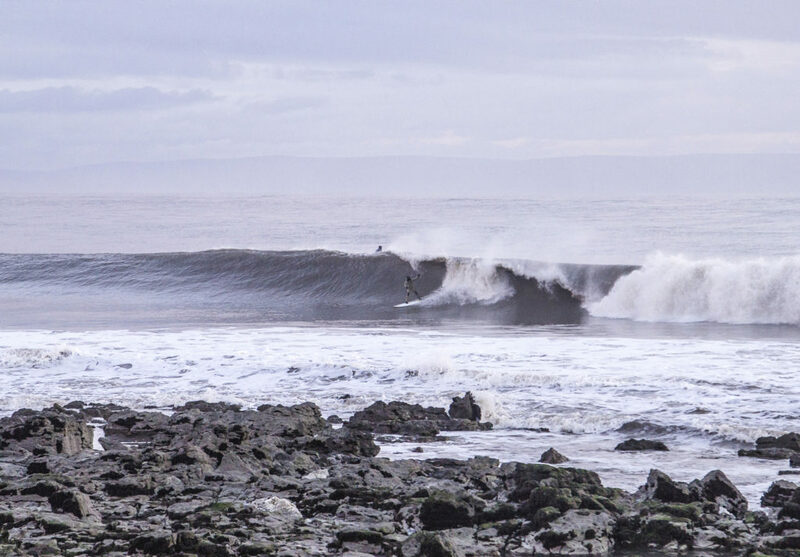 Three hours drive north east of London is Norfolk, home to surprisingly good quality waves. Whilst it never gets particularly big, Norfolk offers miles and miles of flint-laden perfectly shaped beach, which serve up sucky and hollow waves on the right wind and swell combo. The centre of the action is the pier at Cromer, which helps shape the banks, provides some shelter from the winds and serves up some fun wedging right handers on swells coming from the north east. To the east the various groins hold the sandbars together and act as a swell magnet, producing some of the best waves in the area on their day. Subscribe now to Europe’s longest running surf publication for your fill of timeless stories and arresting imagery from the full breadth of surf culture.